* Stitch the spring sunshine into your home with every pull of your needle and floss. * You'll love Elizabeth Spurlock's welcoming Folk Hello design, which features bright colors to create a heartfelt and bold statement. use three strands of floss over one Aida square to provide a palette of rich, deep colors. * Plus, you won't want to miss the "The Sampler Sleuth" feature! 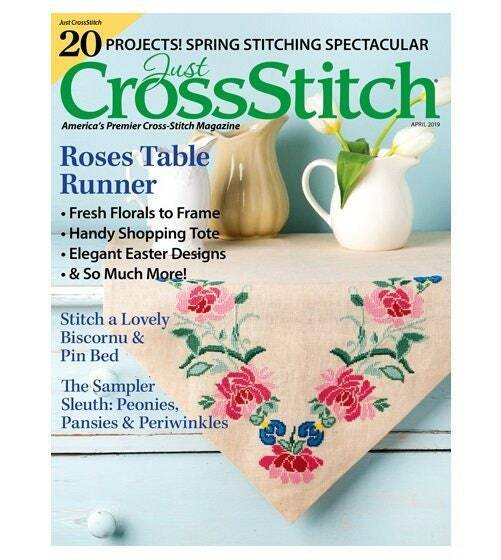 This month explores stitched folkart springtime motifs through the years.